Dmitry Pavlov was born in Kostroma Oblast on 23rd October, 1897. 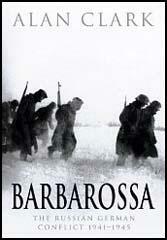 At the beginning of the First World War he served in the Russian Army on the Eastern Front. Pavlov was a Bolshevik and supported the forces that overthrew Tsar Nicholas II. After the Russian Revolution he joined the Red Army and took part in the Russian Civil War. Pavlov was chosen for officer training and graduated from the Frunze Military Academy in 1928. During the Spanish Civil War he commanded a brigade of Soviet tanks. 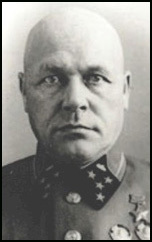 In June, 1937, Mikhail Tukhachevsky and seven other top Red Army commanders were charged with conspiracy with Germany. All eight were convicted and executed. All told, 30,000 members of the armed forces lost their lives during the Great Purge. This included fifty per cent of all army officers. Pavlov escaped the purge and on his return to the Soviet Union he was made the Head of the Directorate of Tank and Armoured Car Troops. In 1940 Pavlov became the commander of the Western Special Military District. On 22nd February 1941, he was one of the first Soviet generals to receive the new rank of General of the Army, inferior only to the rank of Marshal of the Soviet Union. He was placed in charge of Minsk. On 21st June, 1941, a German sergeant deserted to the Soviet forces. He informed them that the German Army would attack at dawn the following morning. Joseph Stalin was reluctant to believe the soldier's story and it was not until the German attack took place, Operation Barbarossa, that he finally accepted that his attempts to avoid war with Germany had failed. The German forces, made up of three million men and 3,400 tanks, advanced in three groups. Andrey Yeryomenko, who was in Minsk, later wrote: "Having covered every inch of ground with corpses the Nazis broke through to Smolensk. Stubborn fighting for the town proper raged for almost a whole month. The city repeatedly passed from hand to hand. More than one German division found its last resting place in the approaches to Smolensk and in the town itself. Every street and every house was contested by severe fighting and the Nazis paid very heavily for every yard of their advance. Hundreds of German soldiers and officers perished in the waters of the Dnieper River." General Pavlov was forced to retreat and the within six days, the German Army had captured the city. When he heard the news Stalin told Lavrenty Beria: "This is a monstrous crime. Those responsible must lose their heads." Pavlov and his chief of staff, Major-General Vladimir Efimovich Klimovskikh, were now recalled to Moscow. After a meeting with Kliment Voroshilov they were charged on 4th July with being involved in an "anti-Soviet military conspiracy" that had "betrayed the interests of the Motherland, violated the oath of office and damaged the combat power of the Red Army that are crimes under Articles 58-1b, 58-11 RSFSR Criminal Code." It was reported that: "A preliminary judicial investigation and determined that the defendants Pavlov and Klimovskikh being: the first - the commander of the Western Front, and the second - the chief of staff of the same front, during the outbreak of hostilities with the German forces against the Union of Soviet Socialist Republics, showed cowardice, failure of power, mismanagement, allowed the collapse of command and control, surrender of weapons to the enemy without fighting, willful abandonment of military positions by the Red Army, the most disorganized defense of the country and enabled the enemy to break through the front of the Red Army." When Joseph Stalin was told that Pavlov and Klimovskikh had been charged he told Major-General Alexander Poskrebyshev: "I approve the sentence but tell Ulrikh to get rid of all that rubbish about conspiratorial activity. The case shouldn't drag out. No appeal. And then inform the fronts so that they know that defeatists will be punished without mercy." Anastas Mikoyan later wrote: "It was a pity to lose him but it was justified." Dmitry Pavlov was executed by the NKVD on 22nd July, 1941. At dawn on 4 July, Mekhlis arrested Pavlov for treason: "We ask you to confirm arrest and prosecution," Mekhlis reported. Stalin welcomed it "as one of the true ways to improve the health of the Front". Under torture, Pavlov implicated General Meretskov who was immediately arrested too. ..
On 22nd July, the four commanding officers of the Western Front were shot. So many telegrams flooded in asking permission to shoot traitors, they blocked up the wires in Mekhlis's office. That day, he told them to sentence and shoot their own traitors.